French may be the official language of Tahiti, but the Tahitian te roa language is widely spoken by locals. It includes only 16 letters and 1,000 words, so it's relatively simple to learn. Initially, just an oral language, Tahitian was committed to writing in 1810 by a Welsh linguist and historian named John Davis. When it comes to speaking te roa, most vowels are pronounced and all syllables end in vowels. An apostrophe indicates a short pause. For example, Faa'a International Airport is pronounced Fah-ah-ah. The R's are rolled, and no letters are silent. 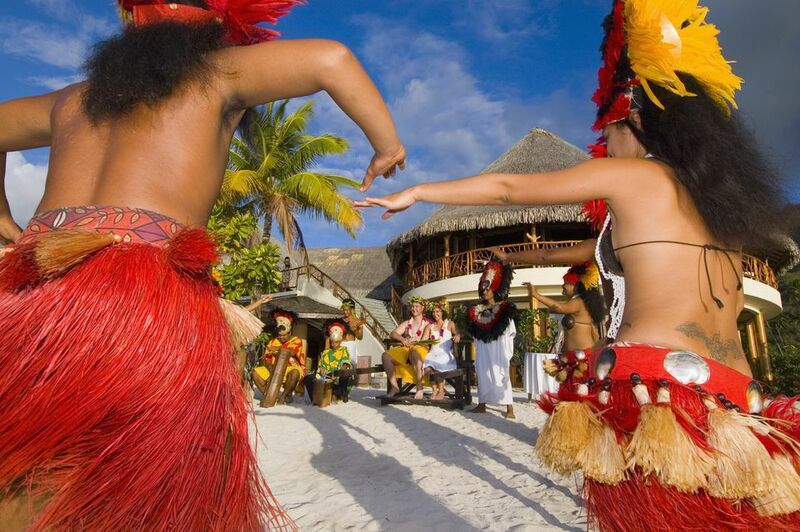 Although you're likely to encounter the French language in most business places and English is spoken at the resorts, it can be fun to learn the basic te roa greetings if you're planning a trip to Tahiti, Moorea, or Bora Bora. The islanders themselves speak te roa, and Tahitians love it when you arrive already knowing how to say "hello" and "thank you." Here are some keywords and phrases you can memorize to help you communicate as you get around. Welcome: Maeva – pronounced mah-ay-vah. This word isn't quite the same as the basic greeting of "hello." It's typically used when you're welcoming someone into your home, room or space.